The seemingless boundless enthusiasm for melodic heavy metal on the part of Japanese fans is well known. But the Land of the Rising Sun is often also the birthplace of tremendous bands of this musical genre. The songs make no secret of the musicians' preference for the musicians involved with style setters such as Deep Purple, Rainbow, Malmsteen, Royal Hunt or Dio. 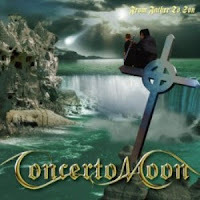 Extravagant guitar riffs, outstanding solos, impressive arrangements and a singer whose energy brings the songs to the boiling point - all this can be found in the music of Concerto Moon. After three furious studio albums, Limb Music Products is now releasing The End Of The Beginning, a live album recorded in Japan in 1999 which demonstrates the exquisite art which the quintett shows when it plays live. 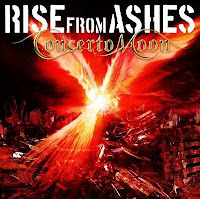 For years there has not been a band from the Land of the Rising Sun which plays as spectacularly as Concerto Moon, the band around frontmen Takao Ozaki and super-axeman Norifumi Shima. The five musicians present spectacular melodic metal of the nimble-fingered kind. Singer Takao Ozaki began his musical career as a guitarist at the tender age of thirteen. When he was 21 he joined a local band in his hometown, Kagawa. After moving to Tokyo he joined Dirty Doll, moving later to Zenith, one of the most popular Japanese bands in the Nineties. 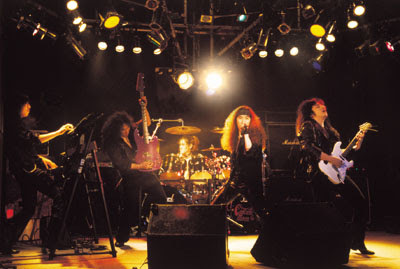 When Zenith gave their farewell concert in Autumn 1995, Ozaki met the guitarist Norifumi Shima with whom he founded Concerto Moon shortly afterwards. Norifumi Shima has been playing piano since he was four years old before deciding to change to the guitar and form a rock band in 1983. 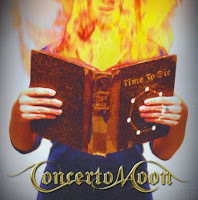 After two years in the band Dion he formed Crystal Clear before founding Concerto Moon. Besides Ozaki and Shima, the band is also comprised of bass player Kosaku Mitani, drummer Ichiro Nagai and keyboarder Toshiyuki Koike. Bass player Mitani played in various bands and joined Emerald Aisles in 1995. He met Shima and his band Crystal Clear in 1995, and so it was a natural step for him to join Concerto Moon. Drummer Nagai began his career as a percussionist, moved on to a regular drumkit when he was 20 and began playing in various rock bands. In 1996 he featured in Concerto Moon as a guest musician and became a permanent band member soon afterwards. Keyboarder Koike began playing piano when he was ten years old, but soon became interested in Heavy Metal. His fascination for Royal Hunt and its bandleader André Andersen led to Koike changing to keyboards. 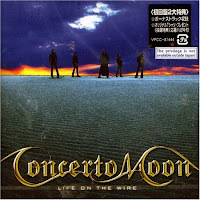 During a Japanese tour in Summer 1997 he met the Concerto Moon musicians and joined the band in January 1998. 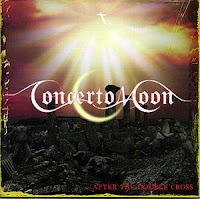 After the band was founded in Autumn 1995, Concerto Moon held their first concert in Osaka in July 1996. Two weeks later they caused a sensation at their very first show in Tokyo. 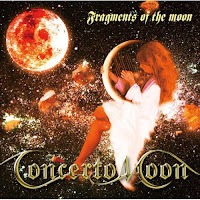 In summer 1997 the band released their debut album, Fragments Of The Moon, which received 85 points from 100 in an album review in the revered Burrn! Magazine. 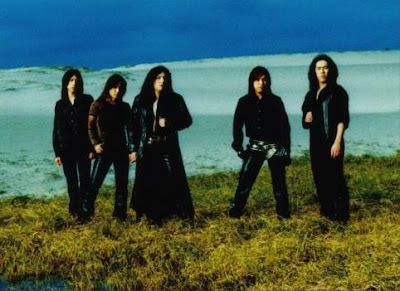 After a successful Japanese tour they released their second album, From Father To Son in July 1998. 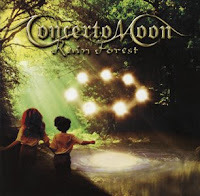 In December, Concerto Moon went on tour with Stratovarius and then began work on their third longplayer, Rain Forest. In February 2000 all three albums were released in Europe through L.M.P./S.P.V. 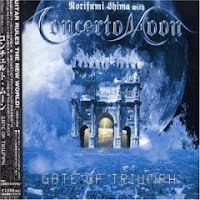 That same year in November three members of Concerto Moon, with their equally successful side project Double Dealer, performed several exciting shows together with Symphony-X and Metalium in France. The Paris concert in the "Elysee Montmartre" was filled wall to wall with around 2,000 fans. This submit actually made my day. You cann't consider just how so much time I had spent for this info! Thank you!